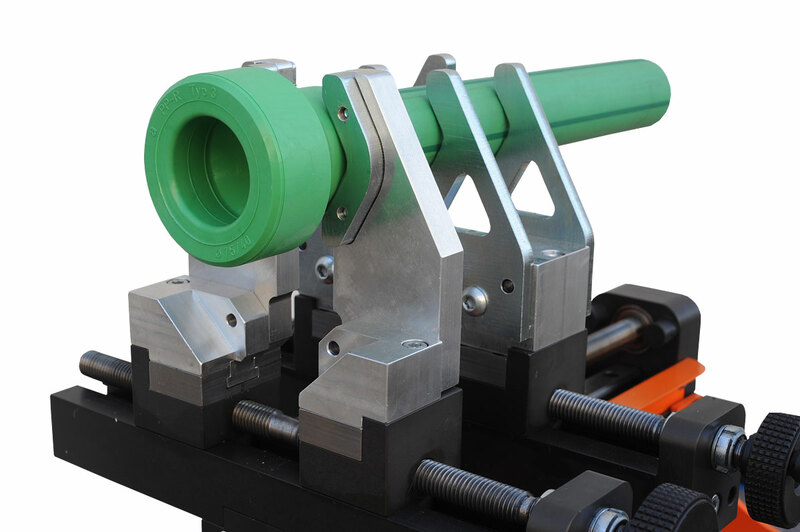 The PRISMA JIG has two trolleys, a fixed and a movable one, with practical closing handwheels in order to ensure a perfect grip in between clamp and pipe/fitting. 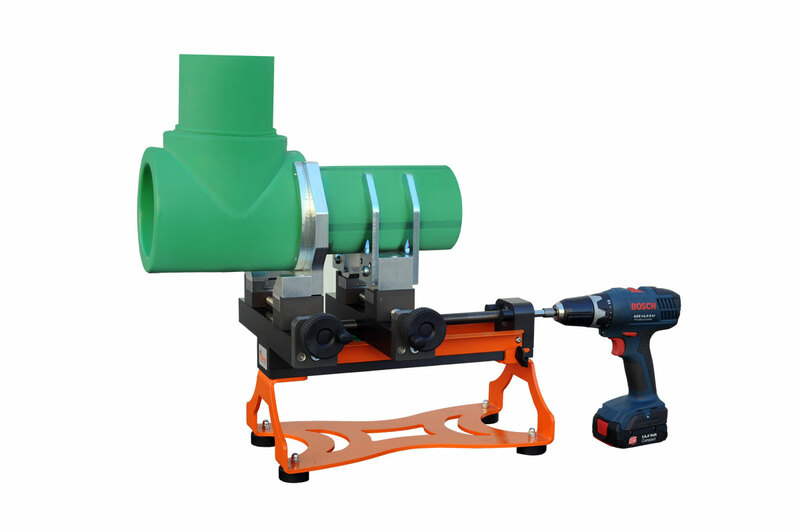 The machine also features steel auto-centering clamps: a special clamp for the fitting, and a couple of paired clamps designed to keep the pipe in position. The trolley closing and opening operations are performed by a “mutual” starter. 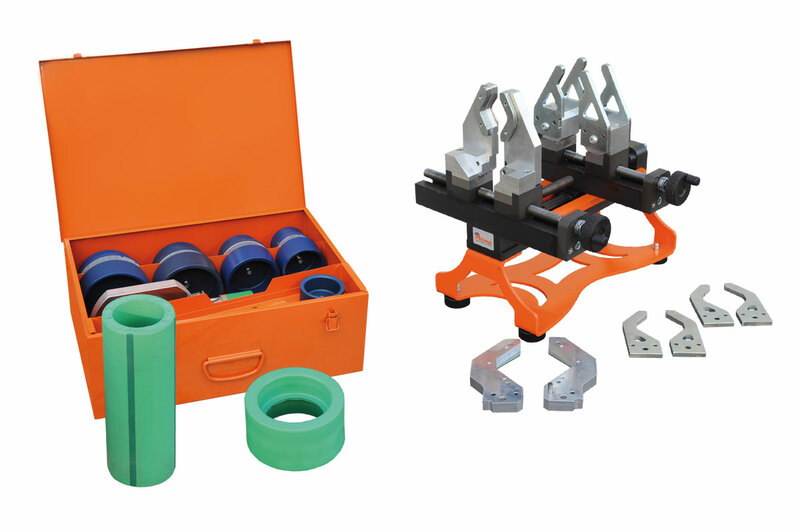 The special fittings clamp is placed on the fixed trolley. 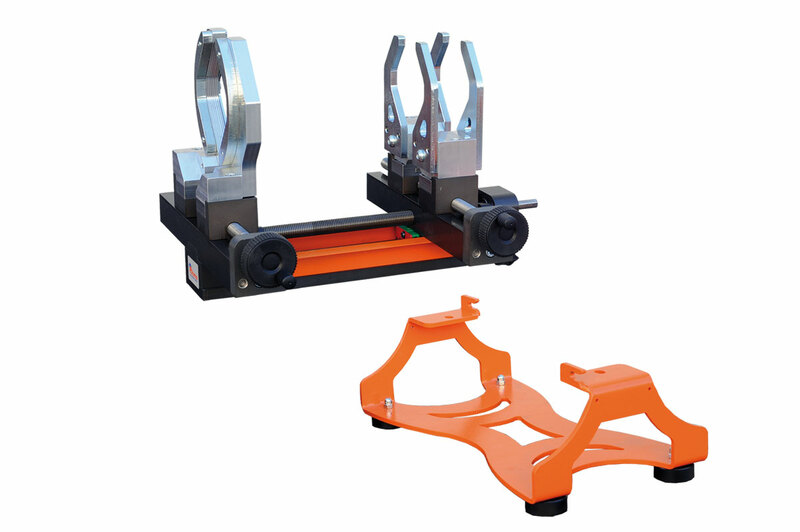 Whenever the type of work requires a different clamping configuration, it is rather easy to unlock and change the machine’s operativeness. 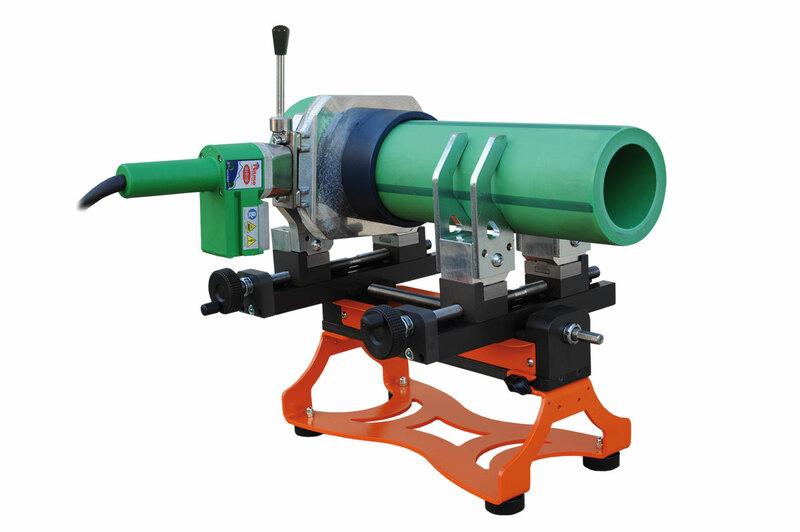 The heating operation is performed by the R 125 Q hand socket welder with TFE fixed temperature control. The main distinctiveness of the TFE device is its security: an acoustic auto-diagnosis alarm indicates when the heating plate has reached the working temperature, but also shuts off the heating plate automatically if any anomaly happens. Thanks to a combined control system, the TFE device responds rather quickly to any temperature fluctuation forced by external causes; on the other hand, it also gives a greater stability, welding precision and reliability in time. A sustaining handle may be placed at the heating plate, in order to simplify the working phases. The R 125 Q is available in 110 and 230 V.